The Hotel du Vin group has wine at the heart of everything it does. Founded in 1994, the group (now owned by Frasers Hospitality) has 16 boutique hotels across the UK. The Hotel du Vin, Brighton, offers 49 rooms, a dining room and bar serving 250 guests for lunch and 500 for dinner each week. It boasts 600 wines on its list, ranging from £21 to £2000 a bottle. When running a hotel with wine at its core, having staff with high-level wine knowledge is crucial. When General Manager Ben Hayes joined the Hotel du Vin Brighton he realised up-skilling was needed to meet the expectations of the hotel’s clientele. “Customers know much more about wine these days, which we embrace, but we need to make sure we stay ahead of our customers”. To execute the hotels wine ethos, all staff, from the front desk to the kitchen, needed to know about wine. By cultivating a complimentary relationship with a local WSET Approved Programme Provider, Sussex Wine School, Hayes was able to provide training to staff across the business. In just two years’ over 50 staff successfully gained WSET qualifications. The hotel now has a Sommelier with WSET Level 3 Award in Wines, two assistant Sommeliers with WSET Level 2 Award in Wines and Spirits and 50 staff with WSET Level 1 Award in Wines. Hayes also rebuilt the hotel’s wine list to offer more staggered price points. This allowed his staff to up-sell when advising customers without making too big a jump in price. This provided increasing profits to the hotel as well as improved employee satisfaction, as they could see immediately the success of their applied knowledge. 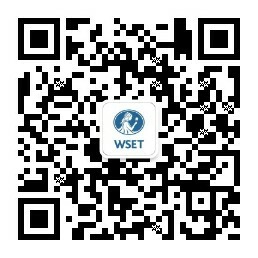 Providing WSET training has benefited the business two-fold. Since up-skilling staff, sales of house wine decreased by 10% while overall wine sales increased by 10%. The up-selling benefits are clear - having staff at all levels who can engage customers in conversations about wine has freed up the sommeliers who can now focuss on providing expert advice. Retention has also improved, “Training staff at Level 1 is a low-risk way to engage and reward, with those who show a passion for wine being further incentivised with higher level WSET training”. Haye’s commitment to training has been recognised internally within the Hotel du Vin and Malmaison collection when his head sommelier was crowned the groups sommelier of the year. We have to have staff on the floor at all times who know about wine - this drives our brand and our business.